Need an Experienced Business Accountant for your Taxes? We specialize in Managing your Taxes Proactively, where we first focus on tax planning, then we help you establish proper tax reporting, and then we handle all of your tax preparation, bookkeeping and payroll. 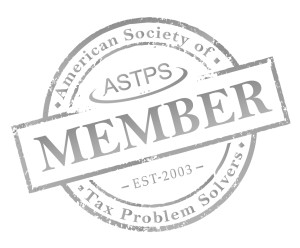 We are experts in income proactive tax planning and tax preparation – Certified Public Accountant, Certified Tax Coach, and Masters of Taxation degree. Our proactive tax planning service starts with looking at all your income, expenses, assets and liabilities as well as your long term plans. Whether its for an individual, corporation, fiduciary, or partnership; we guarantee our results. For our clients, just filing your income tax return isn’t enough. That is why you need a tax plan to pay the least amount you legally can. We provide a Free One-Hour Consultation to meet and discuss your goals and needs. Everything we do is court tested and IRS approved – no “red flags”, no “gray areas”, no “aggressive moves”… learn more about us here. I highly recommend this company. Tripp has been my CPA for many years. I have recommended many friends to him and they have also been very happy with the decision to use this CPA firm. He is very personable and nice. He is an expert and has easily handled multi-state and other complex issues for me in the past. You won’t be disappointed. Outstanding work, highly recommended for your business or personal tax and accounting problems. Great business CPA, they helped setup my new company and handle my payroll taxes. Very affordable and nice to work with. Love Tripp, so much more when just accounting ! !